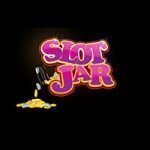 Hjem » mFortune Casino » Monte Carlo Mobile Slot spil | mFortune Bonus! 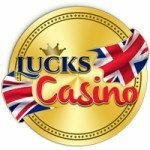 Monte Carlo is a 5 reel, 9 payline fruit machine game available at mFortune Mobile Casino. The game is based on the wealthy and exciting atmosphere in Monte Carlo with its gambling and glamour. It offers crisp, clear graphics with symbols including racing cars, a ring, a yacht, a Rolex watch and high value playing cards. The game features a large jackpot, as well as bonus games. The bets in the game range from 10p to £1 per line. The game can be played for free for a bit of fun without risking your bankroll or it can be played for real money. To play for real money you will need to have made a deposit into your account and can use this to place your bets. 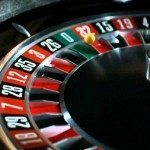 To begin the game you must choose your coin size and the number of coins you want to bet per spin. You can then begin the reels rolling and sit back to see if you’ve won. The yacht is the jackpot symbol and spinning five of these on an active payline will trigger the maximum jackpot of 1,000x your bet. The watch is the wild symbol and substitutes for all other symbols, except the scatter symbol, to complete a winning combination. The red handbag is the scatter symbol which pays out when they land randomly on the reels and may also trigger free spins. There are four feature trail bonus games in Monte Carlo. If you trigger the bonus game, you will be taken to a separate screen with one of the trails. Players will spin a wheel that will move you along the trail towards Monte Carlo. There er en række kontante belønning multiplikatorer rådighed along the route and players can win impressive bonus amounts during this game.